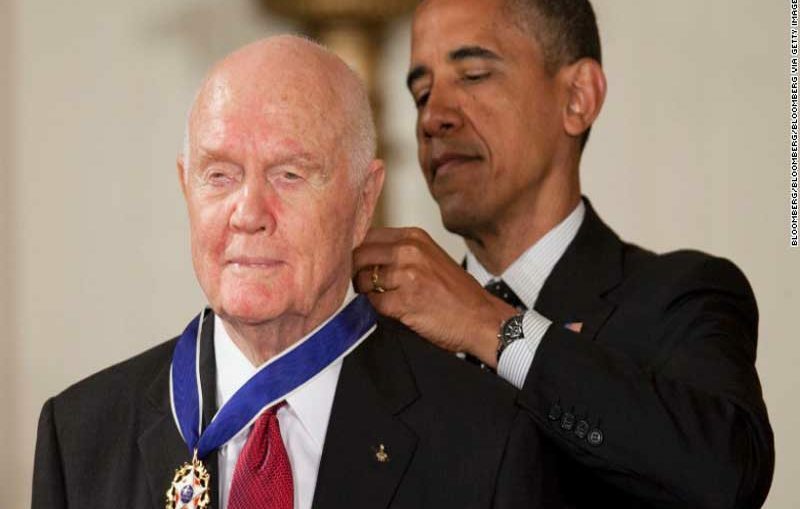 John Glenn, who died on Tuesday at the age of 95, was lauded as a hero of the American space program on Feb. 20, 1962, when he became the nation’s first astronaut to orbit the earth. He became one of the greatest explorers of 20th century’s and later as the world’s oldest astronaut, and also had a long career as a US senator. Moonwalker Buzz Aldrin (86) paid tribute on Friday to pioneer Glenn. 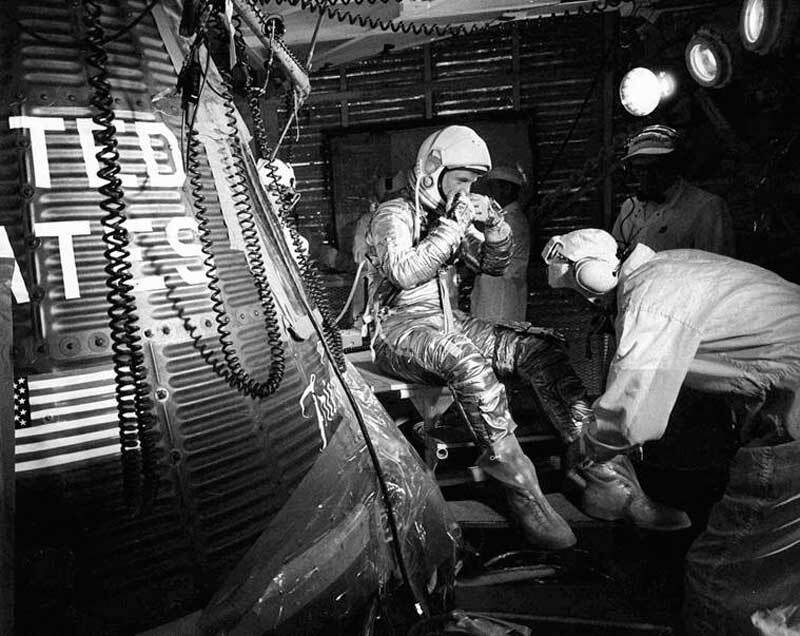 Aldrin said from his hospital bed in New Zealand, “I feel fortunate to be recovering from my own illness, but saddened that we lost another space pioneer and world icon.” Aldrin and Glenn first met in 1953 when they were fighter pilots in South Korea and later re-united when Aldrin joined Glenn as a NASA astronaut in 1963. Glenn, the last surviving member of the original seven American “Right Stuff” Mercury astronauts, died at the James Cancer Hospital at Ohio State University in Columbus, said Hank Wilson, a spokesman at the university’s John Glenn College of Public Affairs, which Glenn helped found. He was the hero-astronaut who became the first American to orbit the earth; a four-term US Senator who—after two abortive attempts at office—became the most popular political figure in Ohio. Ed Rendell, who chaired the ill-fated Gore campaign of 2000, insisted afterward that, had the campaign been willing to fund a statewide televised appeal from Glenn, Gore might well have won the state, and with it the White House. From my travels with him during Robert Kennedy’s 1968 campaign, I can add the fact that he was a boon companion with a subtle sense of humor. From a political perspective, however, John Glenn’s real significance comes not from his many successes, but from his most memorable failure: his campaign for the Presidency in 1984. As the third of seven astronauts in NASA’s solo flight Mercury program to venture into space, Glenn became more of a media fixture than the others and was known for his composure and willingness to promote the program. Glenn’s astronaut career, as well as his record as a fighter pilot in World War Two and the Korean War, helped propel him to the US Senate in 1974, where he represented his home state of Ohio for 24 years as a moderate Democrat. His star was dimmed somewhat by a Senate investigation of several senators on whether special favors were done for a major campaign contributor. He was cleared of wrongdoing. Glenn’s entry into history came in early 1962 when fellow astronaut Scott Carpenter bade him “Godspeed, John Glenn” just before the Ohio native was rocketed into space for a record-breaking trip that would last just under five hours. John Glenn was a genuine hero, a man of physical bravery and of good heart.